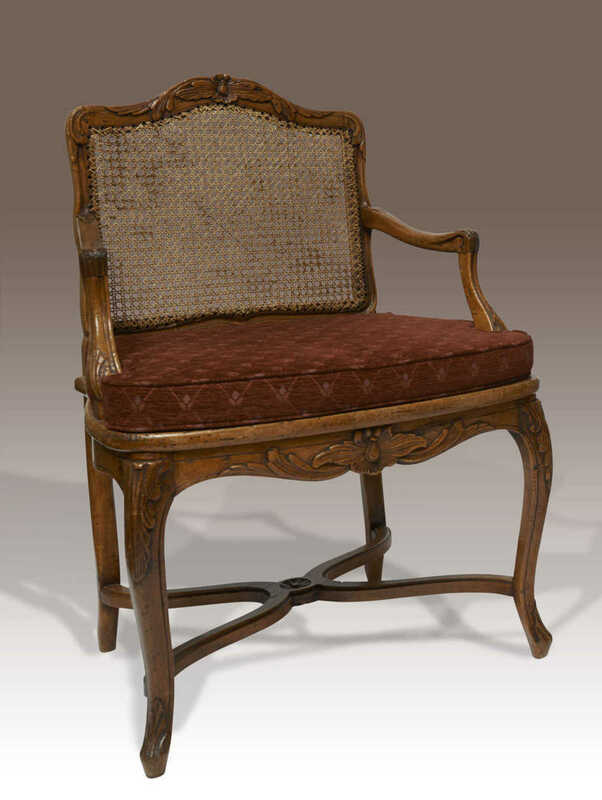 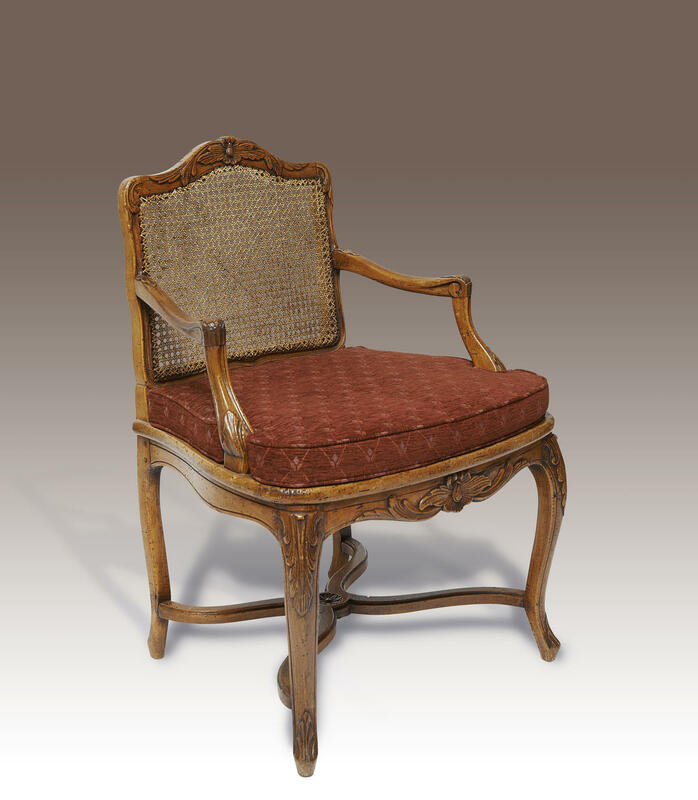 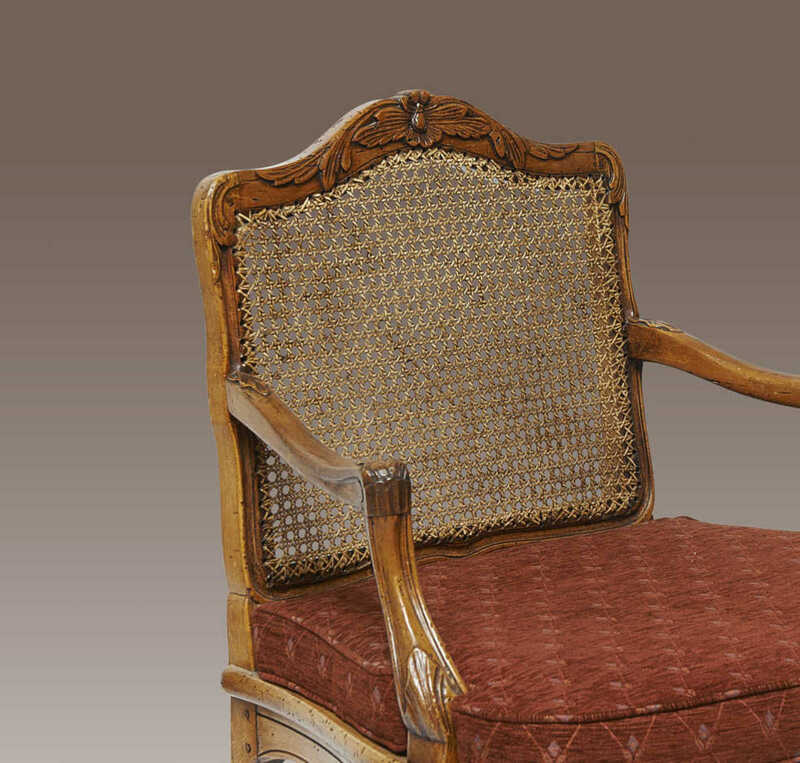 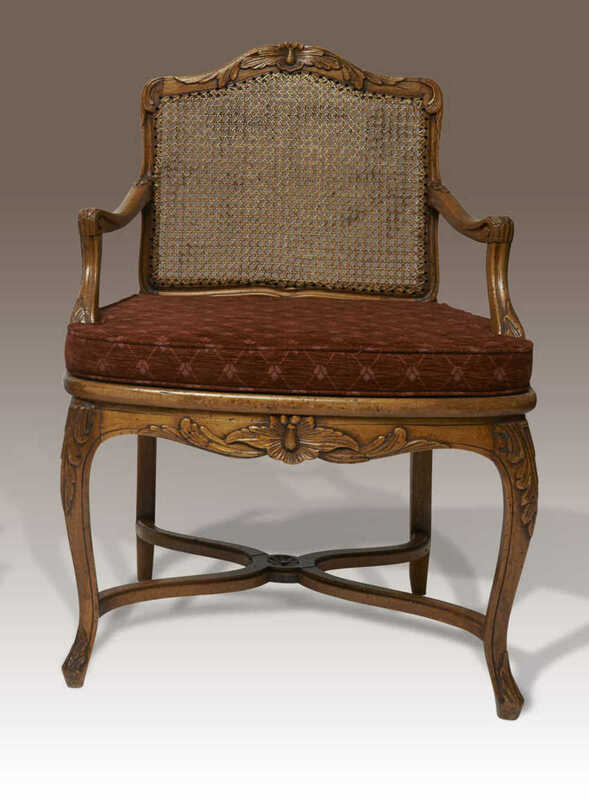 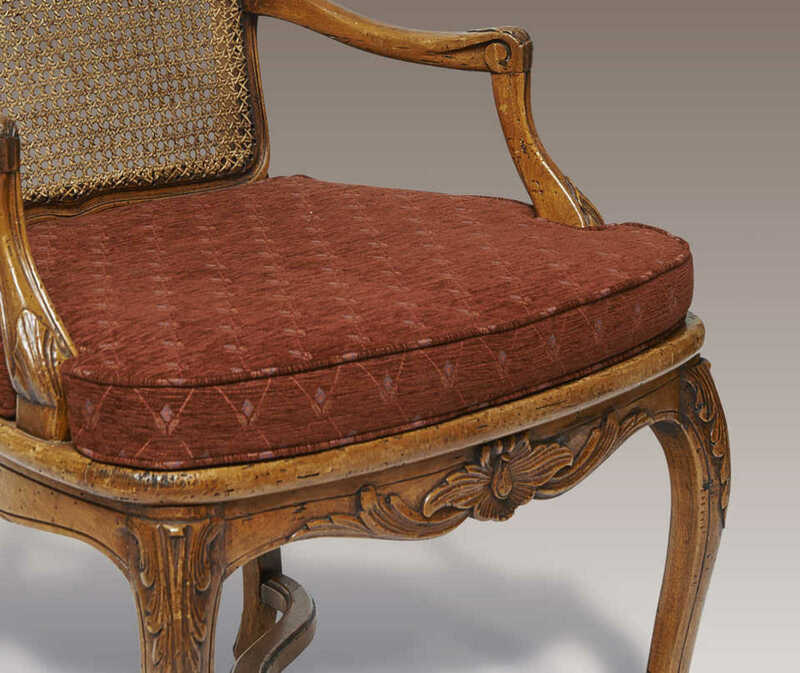 Each with cartouche-shaped caned backrests with carved top rail. 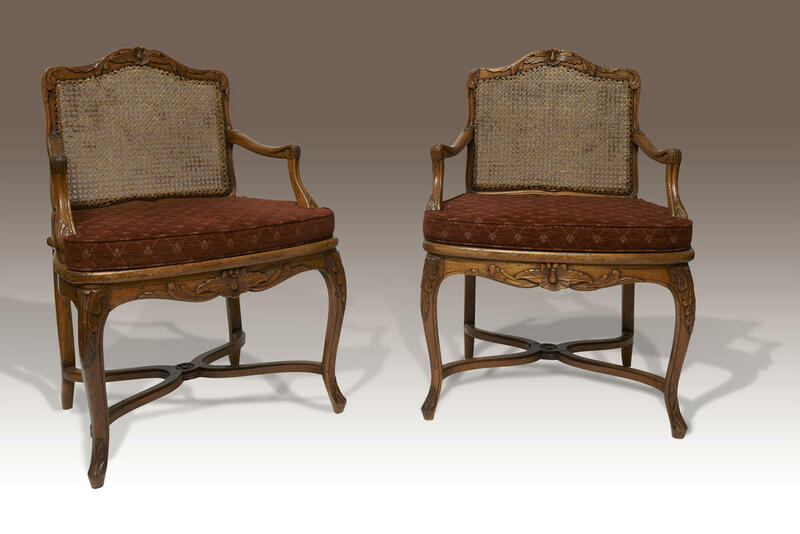 Caned seats. 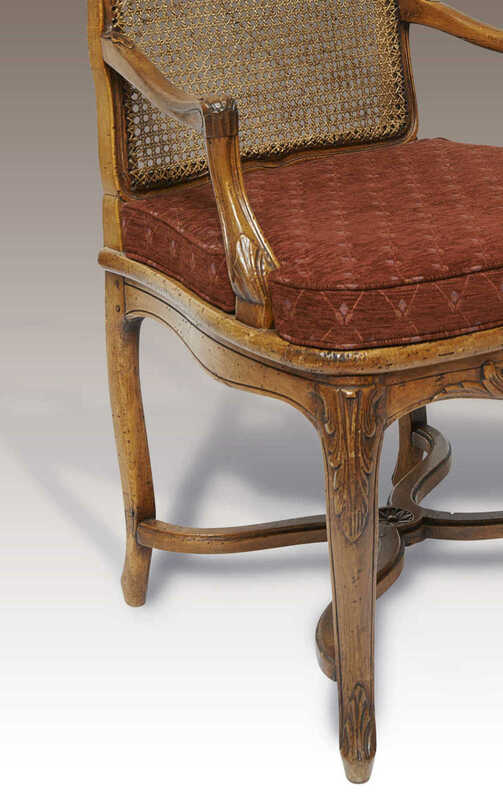 The armrests raised on voluted supports. 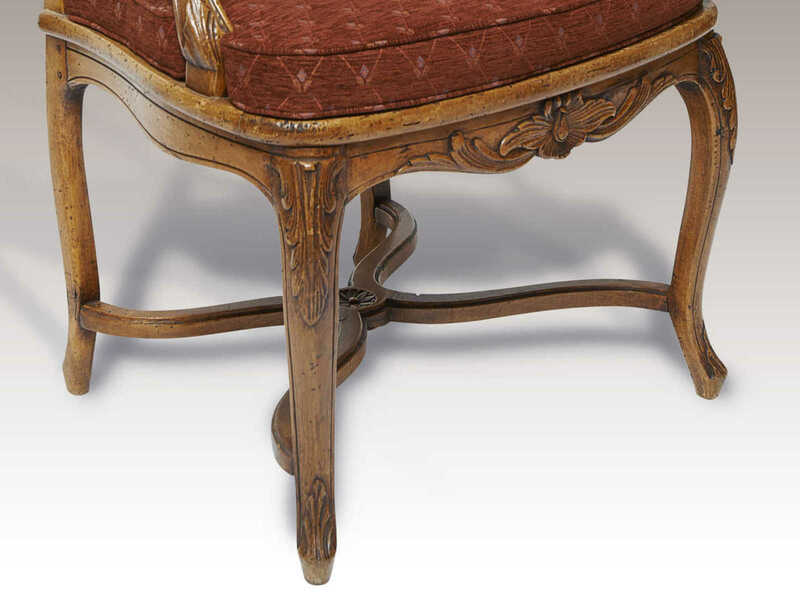 Raised on cabriole legs carved at the knees and joined by a shaped stretcher.